Hot climate is always a biggest problem for Thai’s summer. Especially, those who living in a big metropolitan city like Bangkok. 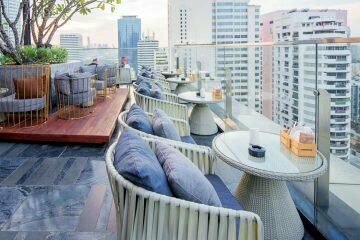 Today we come up with an idea to answer such a classic Thai temperature question with just a served of traditional Thai cuisine, Khao Chae. 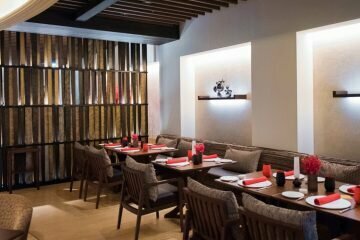 Today we visit Celadon once again for explore on a Celadon’s Signature dish, Khao Chea. 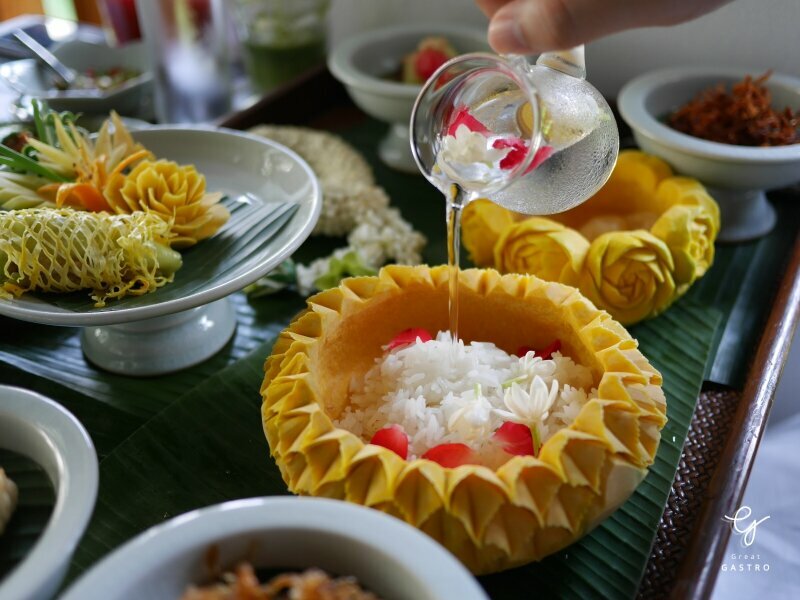 This creative menu refers to rice soaked in cool water consists of a lavish array of traditional condiments. 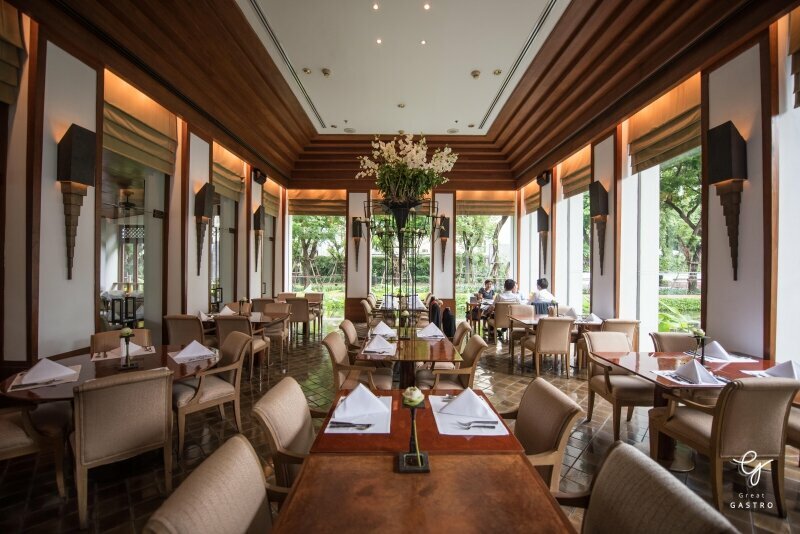 The history of Khao Chea takes us back to its root from Mon culture, but the recipe we are about to experience today inspired from the age of King Rama V (1853-1910), the golden age of Thai culinary. 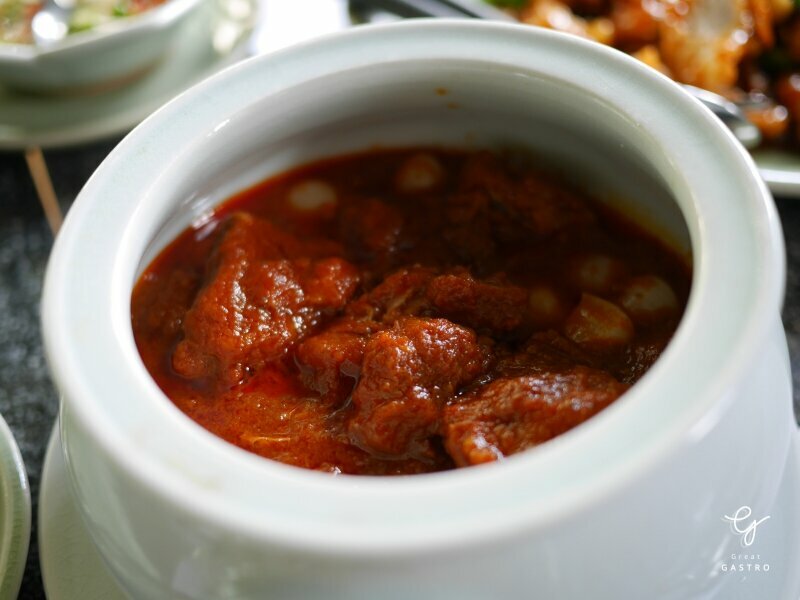 If you once in love with this historical dish, try it here at Celadon and you might love it more than ever. 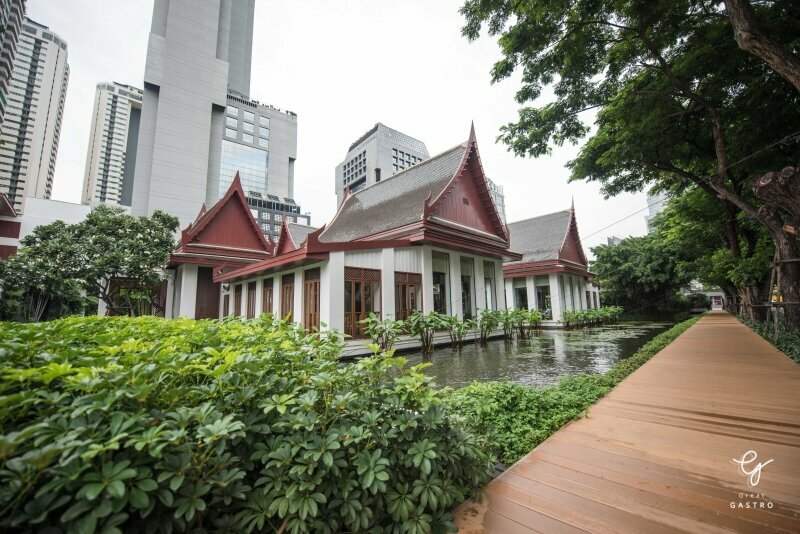 Celadon, a classic Thai restaurant situated in a traditional Thai house building with a high gable roof which in its center has a shape like the halo. 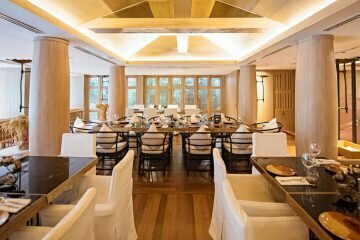 The interior is luxury, but yet homely with wooden decoration. The dishes were served on a jade green Celadon colour in which represent a Celadon ceramics from Sukhothai period (1238-1438). White jasmine rice and brown rice are available at your choice. Now your rice is ready, let’s see what we have on the table. 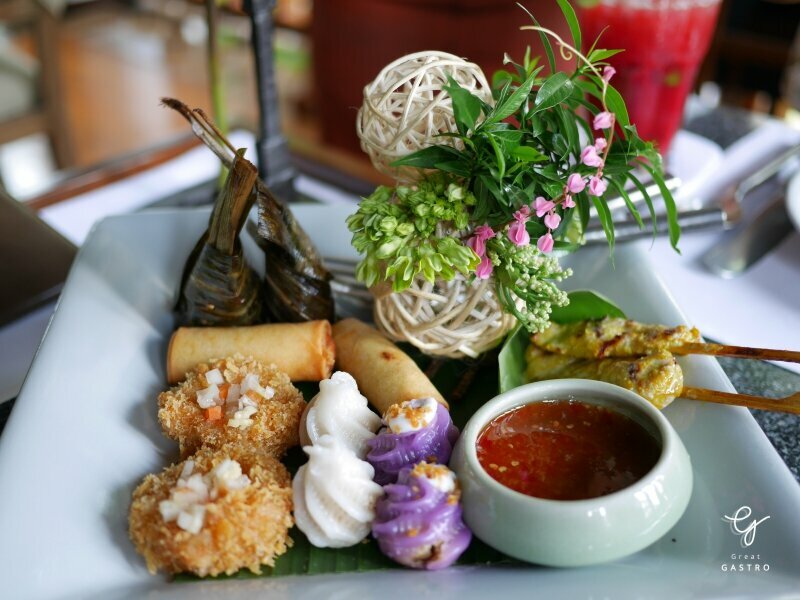 Warm your stomach with hot Thai style Appetiser: Deep-fried Chicken, Pandan Leaves, a big piece of juicy streamed chicken covered by Pandan Leaves, then fried in a hot oil. The chicken is crispy but tender from the inside with an aroma smell Pandan Leaves, Crispy spring Roll, a classic starter is a perfect of fresh and juicy with sour chili sauce, Deep-fried shrimp cake, a minced shrimp mixed with spice then fried over a hot oil, Pork satays with Peanut Sauce, a roosted pork mixed in spices dipped in a coconut cream curry sauce, stuffed flower-shaped chicken and fish dumplings, a Thai-style small bite-sized portions dim sum filled with chicken (in purple) and Fish (in white). 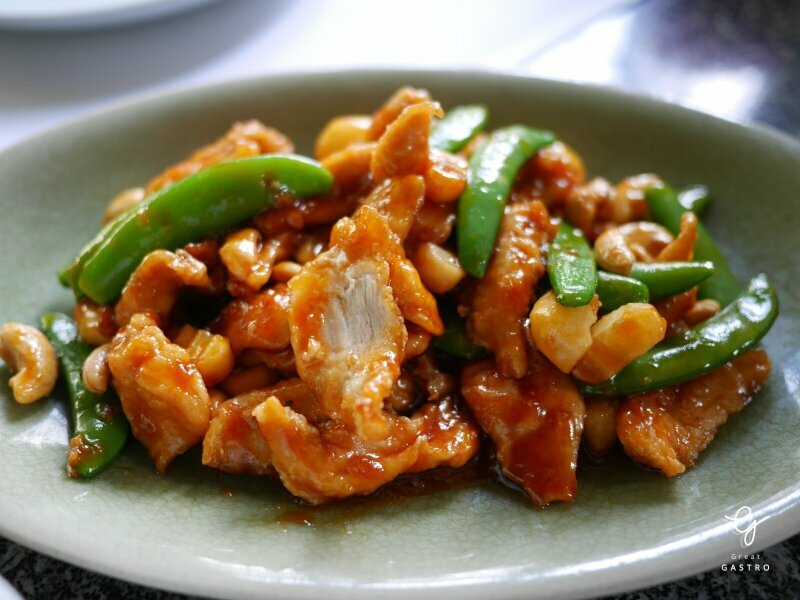 A Thai popular menu served you juicy wok-fried chicken in sour and sweet sauce. Added more texture with crispy and creamy Cashew Nuts, a fresh chewy Pea and dried chilies. This dish goes a bit more special by added a sweet chewy frustration to colour up the taste. 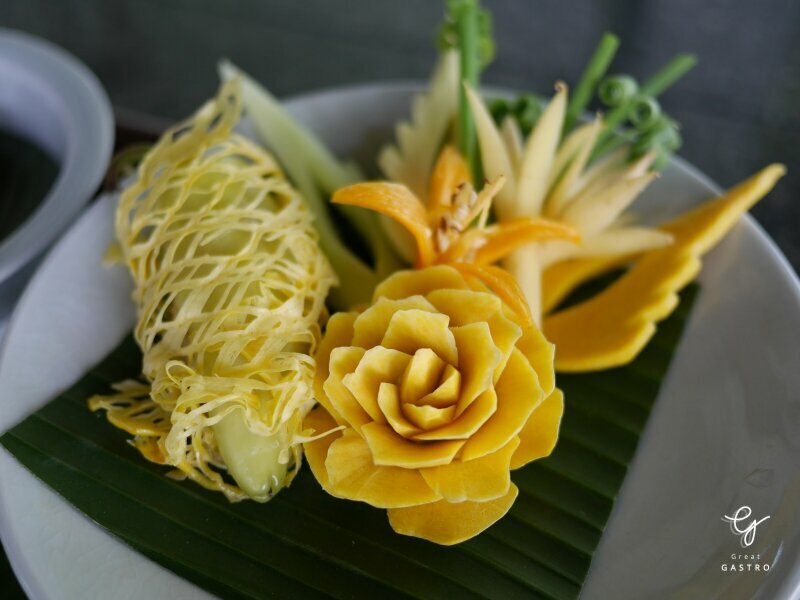 If you love Northern Thai food, this is what you meant to have! A red curry in coconut cream sauce goes perfectly with soft and tender pork. Although it looks spicy from the outlook, this curry suitable with those who love spice but light spicy. 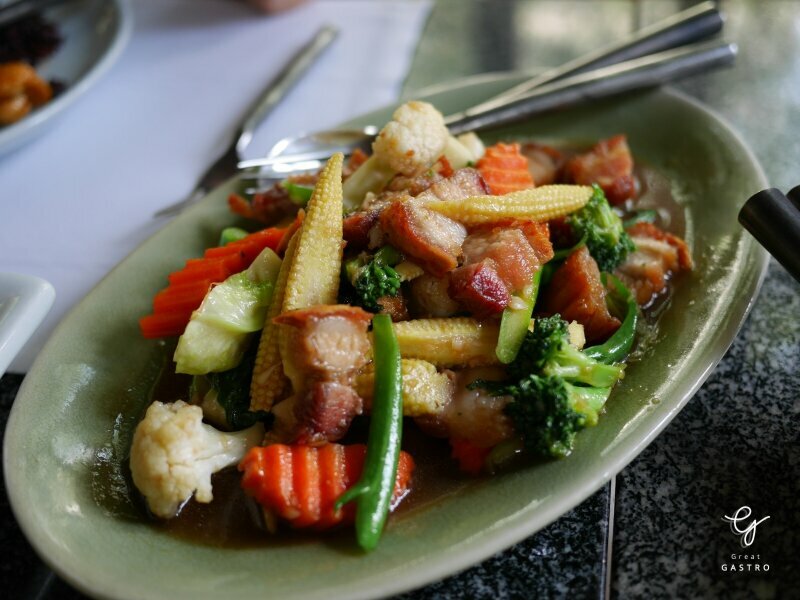 Light dish is always a good idea, a wok-fried with a various kinds of vegetables such as Broccoli, Cauliflower, Carrot, Corn and Crispy Pork fried in oyster sauce. 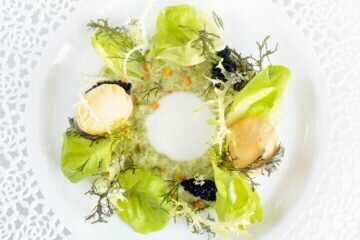 This dish is a perfect fresh up menu after all. Here comes our highlight of the day, Khao Chae. A finest selection of Jasmine rice served in carving pumpkin. Accompany by cold jasmine water, all you need is soak a rice in a water. What we love the most for this Khao Chae is the aroma smell of jasmine in which its go perfectly with jasmine rice and cold water. The smell is not too strong, just a touch of flower aroma that can be fade away once you try others condiments. 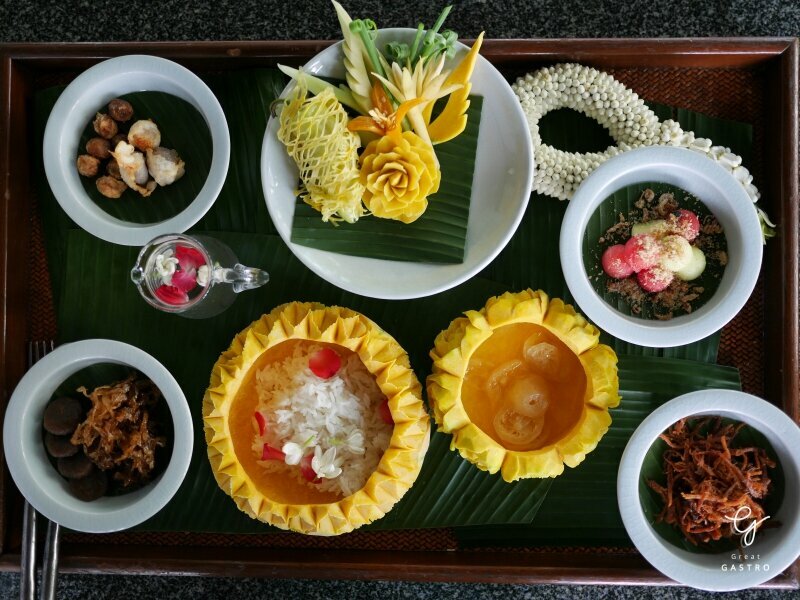 The lavish array of traditional condiments are including a classic Look Kapi (Fried shrimp paste balls), a deep-fried Thai shrimp mixed with spice paste. 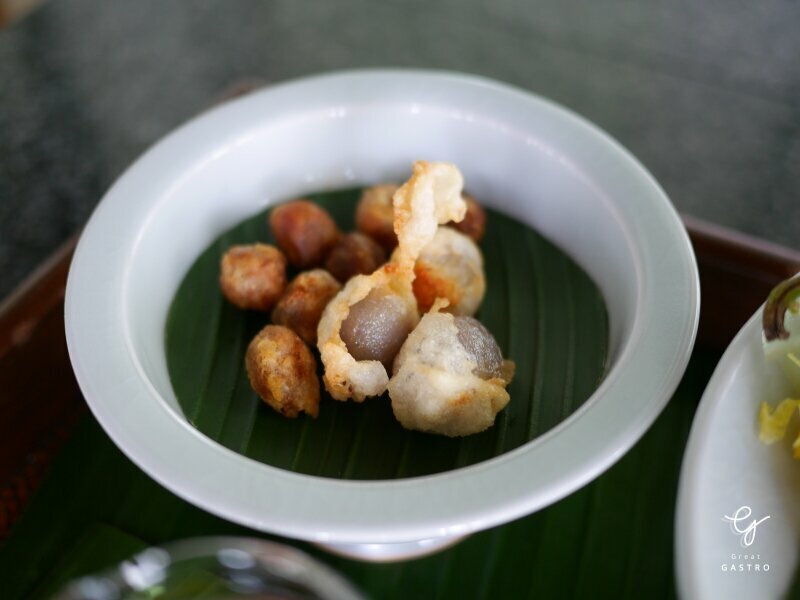 Hom Sod Sai Pla Thod (Fried Stuffed Shallots with Ground Catfish) is the next dish we would love to recommend. 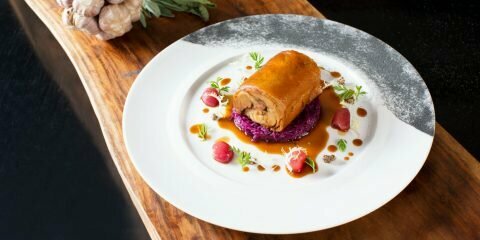 From the outside you would hardly guess how this mysterious dish would taste like. Once you have a bite, you will be stunning with the taste of minced catfish inside which go perfectly with fried shallot. Prik Yoak Sod Sai Goong (steamed stuffed Bell Pepper with Minced Shrimp), this good looking dish made of bell pepper cover by egg filled with shrimp in which the minced shrimp was spice up by chili. 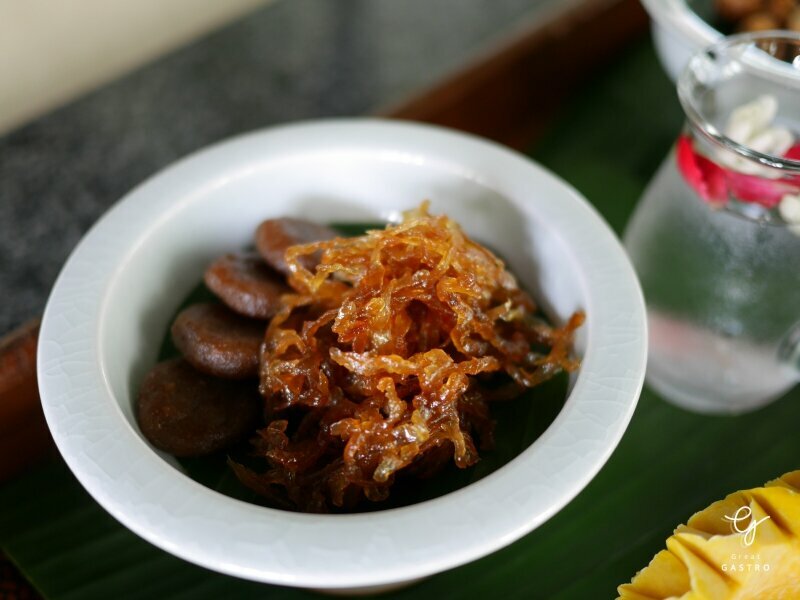 What we would love to introduce you the most is Pla Yeesok (Sweet Shredded Fish), a chutney sweet fish which rarely found in Khao Chae. This traditional dish made of grilled fish mixed with flour and egg, then mold it into a round shape. Although, the main ingredients is fish, this dish doesn’t taste or smell fishy at all. 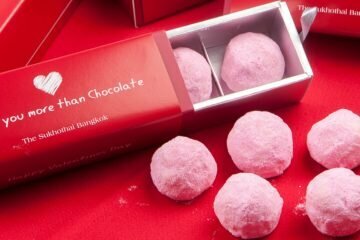 In other hand, it gives a sweet, tender and creamy touch similar to Thai dessert. 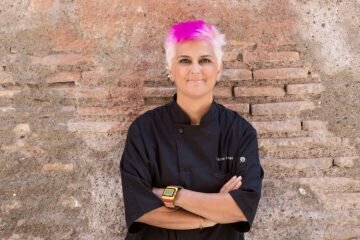 The taste is quite complicate to explain, so we would love you to try it yourself. Move a bit to Huachaipow Warn (Sweet Preserved Radish), one and only vegetarian combination. The Radish is chewy and sweet which light up the taste of this historical set of summer menu become more flavorful. 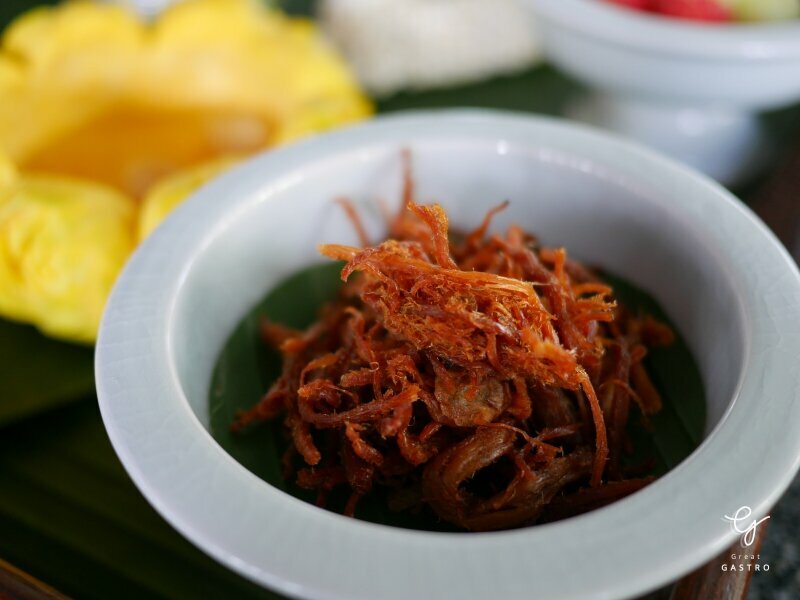 Khao Chae also available for you to choose between Moofoi (Crispy Pork Threads) or Nueafoi (Crispy Beef Threads). All of this served you fresh salty flavor which perfectly fit with aroma smell of cold Khao Chae. Once you have done with savory, follow us to sweet section. 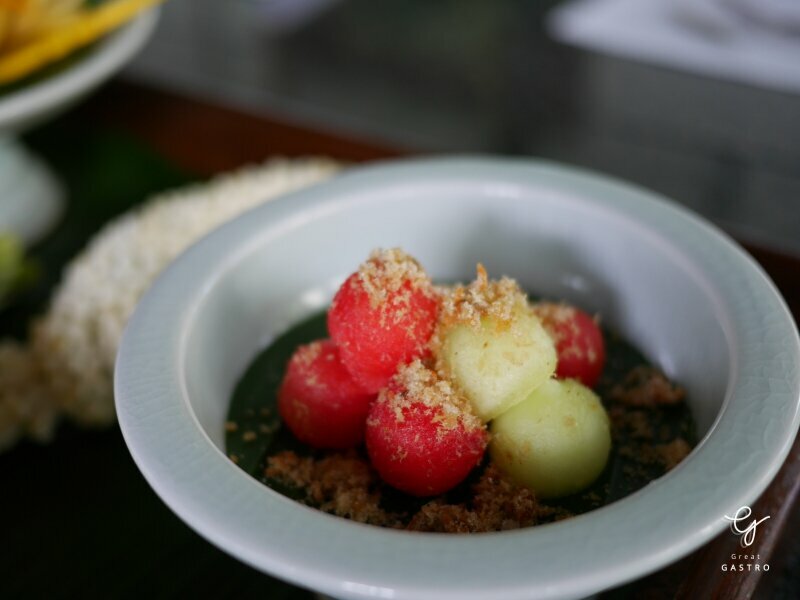 This colourful dish of water melon and melon called Tang Mo Pla Haeng (Watermelon with Sweet Ground Fish and Shallot) because it served with salty ground fish on top. The combination of sweet and juicy melon with dry fish is a bit odd. 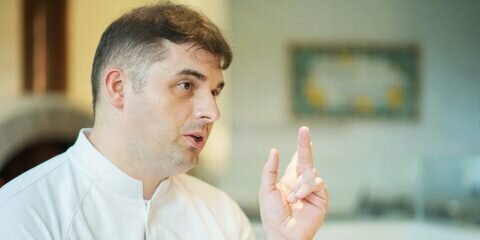 However, back to the age of King Rama V, this dish was served as a savory. Melon is known as a cold fruit which help to adjust your temperature during hot season. The finale goes to Magood Loy Kaew (Homemade Kaffir Lime Fruit in Syrup)!!! This traditional dessert is, again, surprise us by using Lime Fruit as a dessert. The Lime fruit was peel then clean with sulfur till the skin become transparence before soak in syrup and add up with sour acacia concinna. This dish provide us a sense of sour orange peel and plum smell a-like. Feeling adventurous? 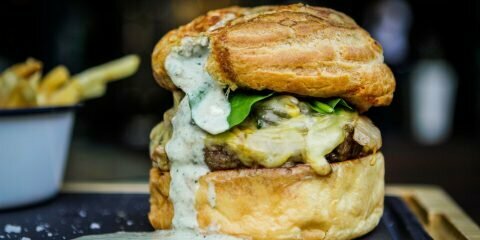 Come and have a try! 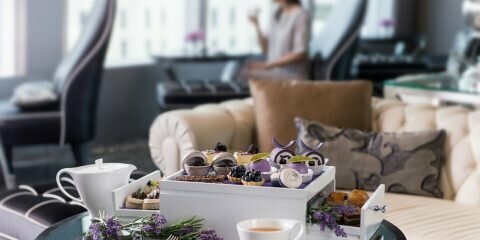 If you still can’t get enough of sweet treat, here we have more recommendations. 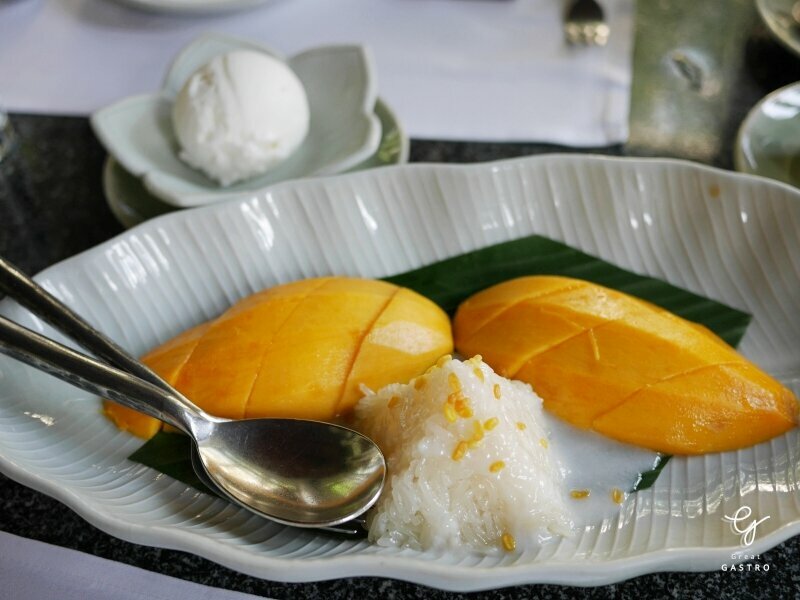 What we love the most visiting Thai Restaurant is the worldwide favorite Mango with Sticky rice. 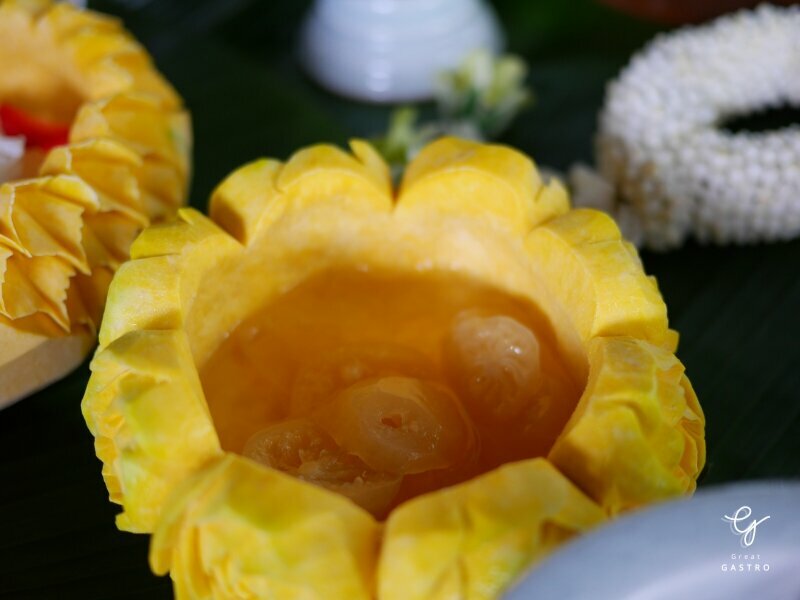 Celadon make this popular dish goes a bit more special by served a dessert with homemade creamy coconut ice-cream. A worm sweet sticky rice accompany by sweet and sour golden mango, then topped up with the freezing ice-cream, could you expect any better? 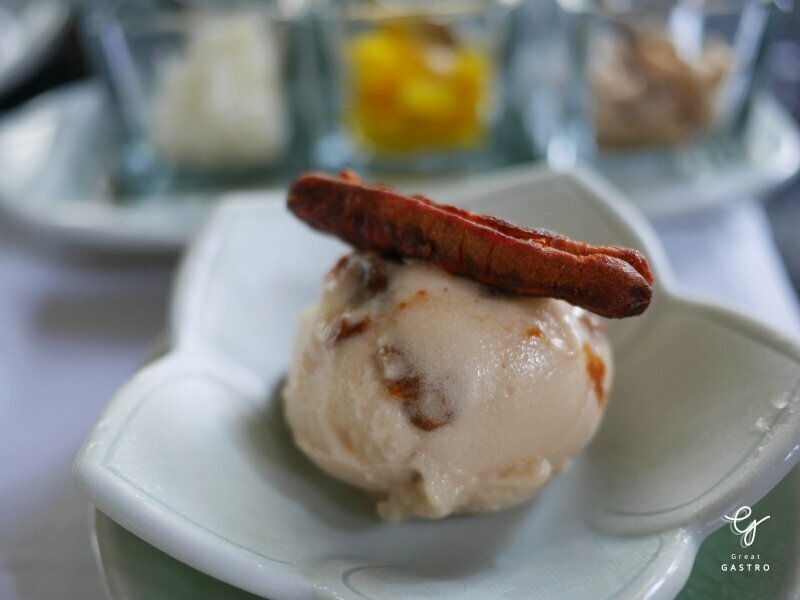 For a sour lovers, we would like to recommend you this sour homemade Tamarind Sorbet. Using tropical fruit as a based, this golden tamarind comes with its authentic sour and sweet with special smell. Accompany by several topping such as sweet sticky rice, this catchy sorbet will surely wake you up! 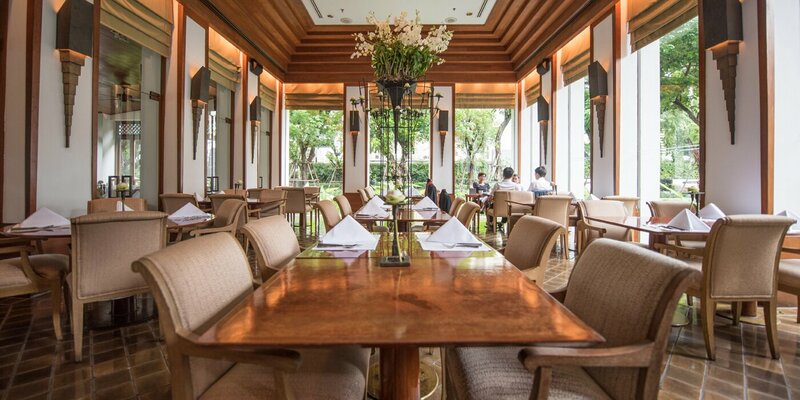 For this hot summer, if you are looking for some place to chill out while enjoy an authentic Thai cuisine and historical dishes embrace by luxury local atmosphere, Celadon is where you meant to be! 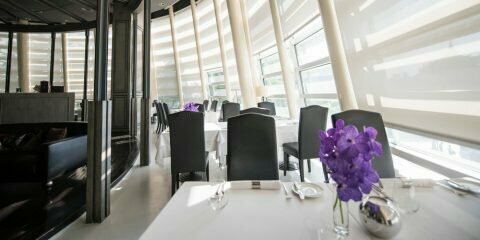 The restaurant open daily from 12:00 – 15:00 hrs. for lunch and 18:30 – 23:00 hrs. for dinner. 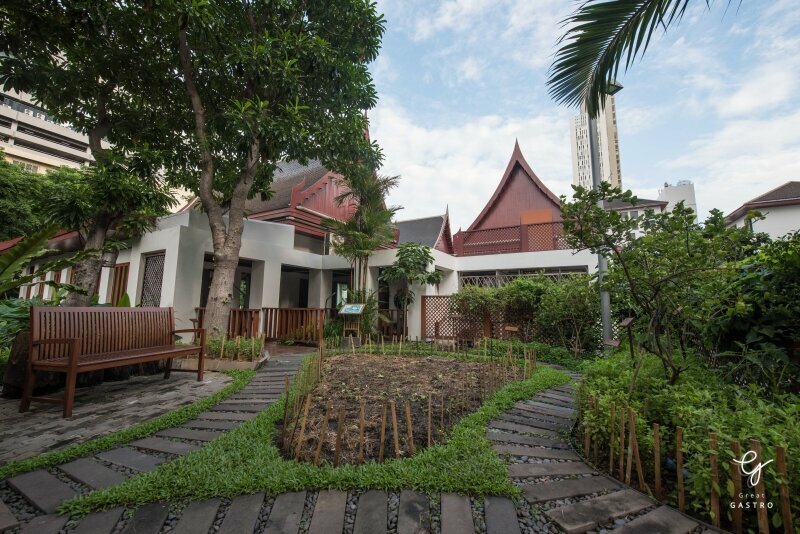 For those who would love to experience Thai performance, a classical Thai dancing performs daily at 19.30 hrs. and 20.30 hrs. Lunch : 12:00 – 15:00 hrs. Dinner : 18:30 – 23:00 hrs.